If you would love to do something that makes a real difference, Turning Point Ranch needs volunteers to make horseback riding happen for special kids. Turning Point needs volunteers on Mondays, Tuesdays, Wednesdays, and Thursdays. As a volunteer, you can become a “sidewalker” to ensure the rider is safely on the horse and engaged in the activities or as a “horse leader” focused on the horse and the instructor to keep the session safe and moving. We also need volunteers on the “Horse Team” that helps feed and care for our therapy horses. Now that we are in our new location, we also need ongoing assistance with weed eating, landscaping, and office assistance. There is a chance for everyone to get involved. Student volunteers enrolled at Oklahoma State can get academic credit in certain courses requiring hands-on experience or credit through the University Volunteer Center towards a service cord at graduation. 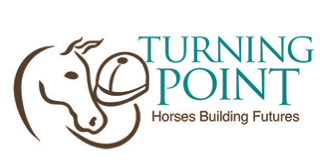 Call 405-269-2225 or email volunteer@turningpointriding.org today if you are interested in volunteering at Turning Point Ranch! We are also on Facebook and Instagram.